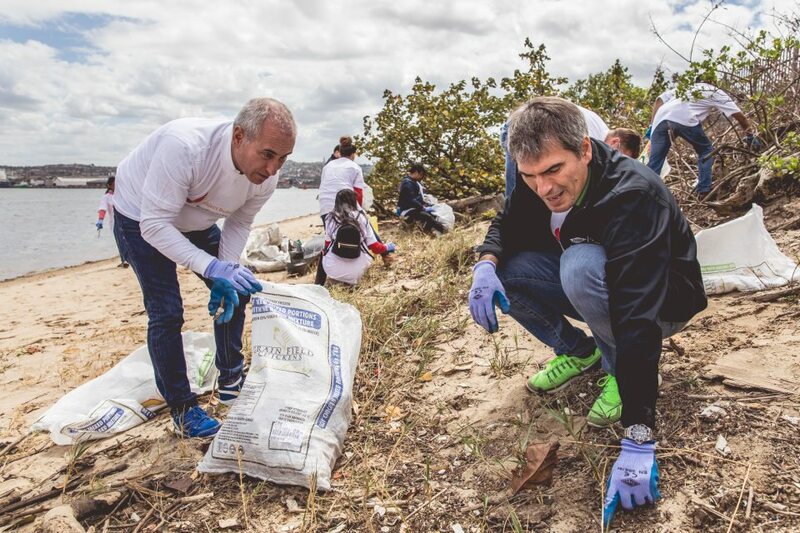 Javier Constante, EMEA Commercial vice president for Dow’s Packaging and Speciality Plastics Business and Alessandro Corticelli – Market Development Manager for Dow Packaging and Specialty Plastics in the Middle East, Africa and Turkey, both helping with a clean-up hosted by WILDTRUST at the Durban Bayhead Mangroves. Hayley Lowry Global Sustainability Director Dow with the WILDOCEANS Blue Crew including Duduzile Magubane, Ntombifuthi Nogxe, Ntombifikile Gcaleka, Thembisa Cenga, Bonani Mngoma, Duduzile Cele, Zameka Miya, Dr Andrew Venter (CEO of WILDTRUST) and Javier Constante Commercial Vice President Packaging of EMEA. Furthermore, the project will see the underwriting of a sustainable clean-up operation of the Durban Harbour. It will ensure the ongoing removal of the waste that accrues in the harbour, through the employment of a dedicated team of local community members as part of the WILDOCEANS’ Blue Crew (a team of local female entrepreneurs, who collect waste accumulating along our coastline). This will enable the collection of over 100 000 kgs of recyclable waste from the Port, including 60 000 kgs of plastic material that would otherwise land up in the ocean. 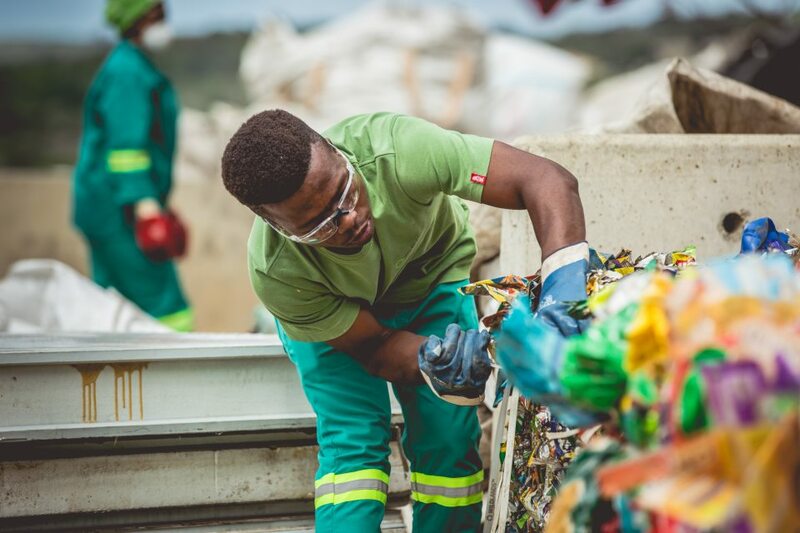 Sabelo Zondi works at the WILDLANDS Recycling Depot in Cato Manor. 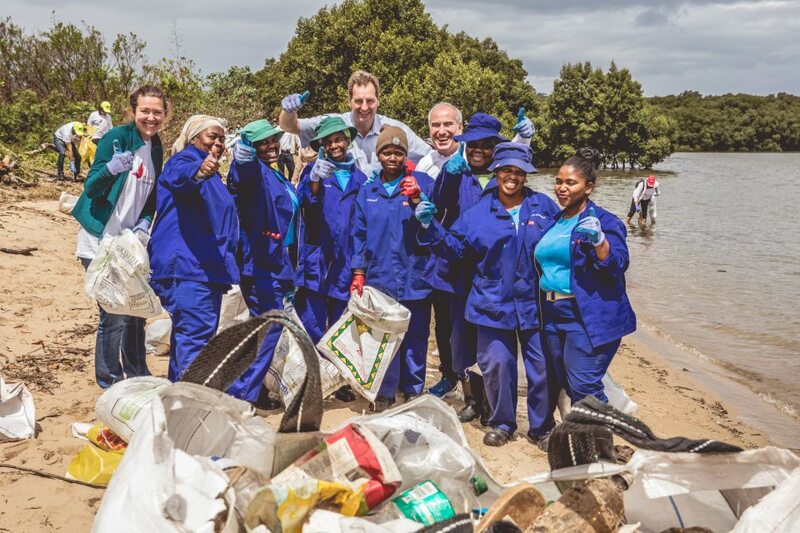 Yesterday, Dow and the WILDTRUST also joined forces to launch Project Butterfly, an Africa based initiative started by Dow, to clean-up part of the Durban Harbour. Coming together with their customers, stakeholders, partners, government agencies and NPOs, they collectively cleaned part of the Bayhead Mangrove Swamps. 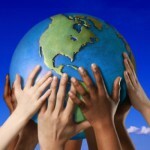 Afterwards a networking session was held to further cement their commitment to those making inroads towards a cleaner environment, and to making a difference to local communities.